Most Saturdays we meet at St. Mary Magdalene’s Church at 8:15 am. Our sessions are organised by Revd Monica Thomson. 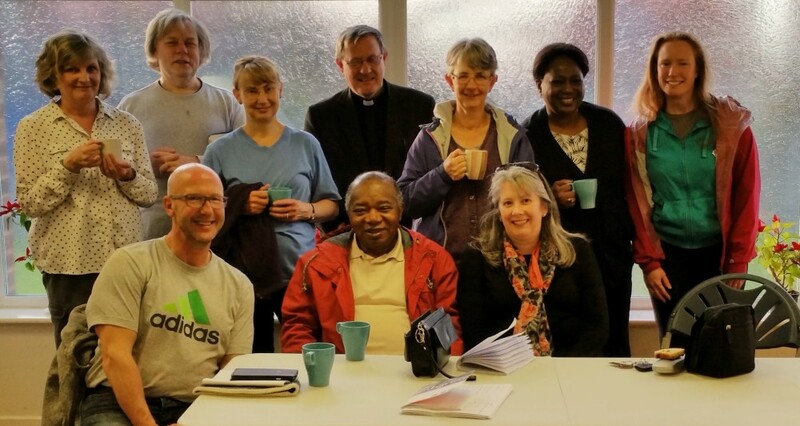 An informal Bible study is accompanied by bacon butties and a friendly chat. Recently we have been looking at Paul’s letter to the Philippians. Do come and join us: you will be made very welcome. This runs on a Monday night once a fortnight and provides an opportunity for us to meet together to talk through a simple Bible Study and reflect on how God’s word can guide us through the ups and downs of life. We are a very friendly and welcoming group and would love to hear from anyone who would like to join us. Most Wednesdays we meet at St. Mary Magdalene’s Church at 7:30 pm. Our sessions are led by Revd Michael Ridley. The course is aimed at those new to the Church as well as established Church members who may feel in need of a “refresher” or who wish to explore a subject in more depth. An informal Bible study is preceded by tea and coffee over a friendly chat. Recently we have been looking at the Ten Commandments. We meet on alternate Wednesdays at St. Mary Magdalene’s Church at 7.30pm. Our sessions are organised by Christine Chapman. An informal Bible Study is preceded by tea and coffee over a friendly chat. Recently we have been looking at Paul’s letters to the Corinthians. We began 2018 by looking at the work of Martin Luther and the biblical texts that influenced him. Please come and join us. Whatever your level of knowledge you will be very welcome.